If you have arthritis, you know how debilitating it can be. It affects millions of people and is the most commonly reported chronic illness across the nation. Arthritis is a disorder of the joints that causes them to become inflamed. The inflammation causes the pain and stiffness that you feel, and it can result in a loss of movement if the joints become too inflamed. There are over 100 different types of arthritis, containing monoarthritis (where only one joint is affected) and oligoarthritis (where multiple joints are affected.) Some of the most common forms of arthritis are osteoarthritis, which develops from “wear and tear” of cartilage, and rheumatoid arthritis, which develops from overactive immune systems. Arthritis can hinder many qualities of life – from work, to hobbies, to overall mobility. Some people are so affected by arthritis that they are unable to work and have to go on disability. If you are suffering from the chronic pain of arthritis, call our office to schedule a consultation with one of our physical therapist’s at Blue Sky Physical Therapy today. Physical therapy is a safe, healthy, and effective way to treat arthritic pain. First and foremost, if you believe you may be suffering from arthritis, you should contact your primary care provider. He or she will provide a thorough evaluation, looking for signs of disease, such as inflammation and/or deformity. They will review your symptoms, and may administer any blood tests, urine tests, joint fluid tests, or x-rays as they deem necessary. If you are diagnosed with arthritis after these tests, your doctor will create a treatment plan for you, in relation to the location and severity of the condition. This treatment plan may include rest, exercise routines, and medications as necessary. 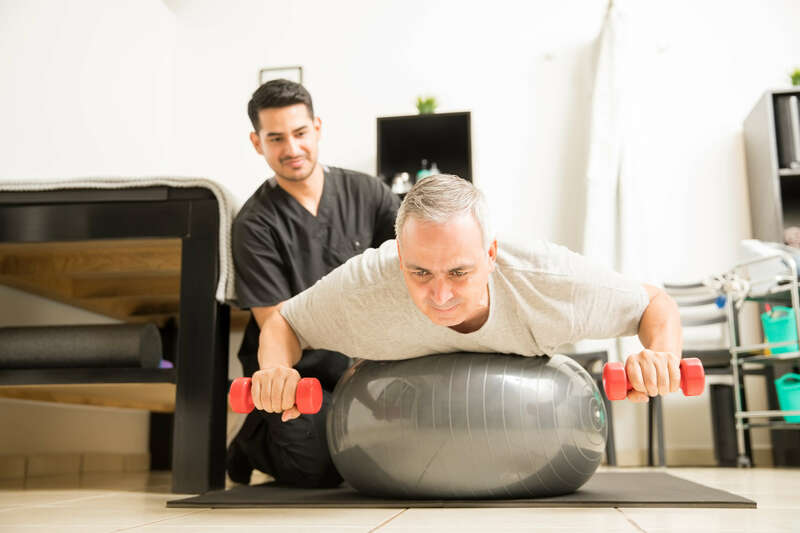 It is very likely that you will also be referred to a physical therapist to help guide you through your exercise routines, in order to measure progress and make sure that you are completing your physical activity in a proper a safe and correct manner. Early diagnosis can be helpful in avoiding joint damage and disability, so it is imperative that you contact a doctor as soon as you think you may be developing arthritic symptoms. A physical therapist will custom-tailor a treatment plan surrounding your needs, in order to increase your strength, range of motion, and mobility. This will include the affected area, as well as any surrounding areas that may contribute to the pain. For example, if your arthritis is in your knee, your physical therapist may create a treatment plan that focuses on the knee, in addition to the hips, ankles, and lower back, since all of these areas may affect the movement of the knee. Your physical therapist will most likely suggest manual therapy, in order to improve joint and soft tissue mobilization. Your treatment plan may consist of any combination of treatment services, including ice and heat therapy, deep tissue massage, or electrical nerve stimulation. All of these treatments are passive modalities that work to reduce pain and inflammation, in addition to increasing blood flow and mobility. Our research-driven treatments will help you find quick and long-lasting pain relief. If you are suffering from arthritic pain, give us a call today at our physical therapy Denver CO office and we will help you get your life back on track. Our physical therapy team is committed to your success, and we will provide you with everything you need on your journey toward long-lasting relief!